Our professional Client Services Managers are pivotal to the management of our client relationships and the provision of our commercial cleaning services. They provide a consistent point of contact and are available 24 hours a day, 7 days a week. Our Client Services Managers work closely with our cleaning professionals to ensure that specific client requirements are clearly understood and any required training is provided. Our Client Services Manager will regularly visit your site to review the quality and efficiency of the cleaning and ensure that the service exceeds expectations. Throughout our partnership, site inspections are conducted regularly by the Client Services Manager, with the client, to allow for immediate and effective feedback. After working in similar roles within the commercial catering and facilities management industries, Mario joined the Zippy team in November 2007. Initially employed as a Client Services Manager, Mario willingly accepted the role of Senior Client Services Manager in 2015 after demonstrating exceptional customer service and management skills. Mario is highly respected amongst the Client Services Managers and acts as a mentor for new and existing Managers and cleaning staff. He is also responsible for a number of high-profile sites including the Adelaide Central Market and the Adelaide Produce Markets. 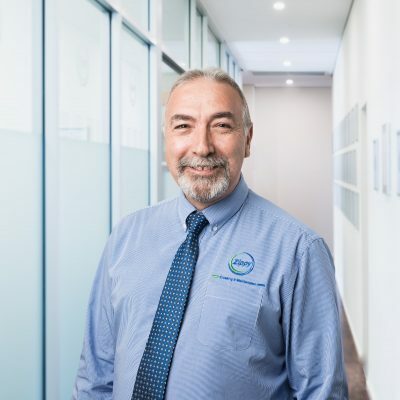 Throughout his career, Mario has completed a Diploma of Sales Psychology and Certificate IV in Assessment & Workplace Training. He has also completed significant training in areas such as performance management, team building, human resources and accounting. As with all of the Client Services Managers, Mario is also certified in Basic First Aid. Mario enjoys the autonomous nature of his role as he is able to adapt his schedule to what the business and our clients require. He also enjoys getting involved with cost analyses and mentoring staff to be the best that they can be in their role. Kavish joined the Zippy team in January 2015, bringing with him extensive cleaning industry knowledge through his experience in property management services and sales management. 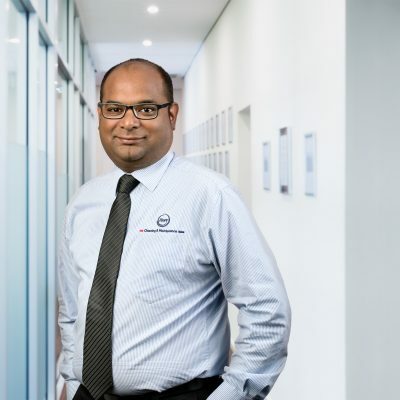 Kavish has completed a number of qualifications including a Diploma in Business as well as Certificates in Business, Sales and Customer Service. As with all of our Client Services Managers, Kavish is also certified in Basic First Aid. In his role as Client Services Manager, Kavish is committed to his clients and staff and strongly believes that the Zippy work/life balance values assist him in being the most productive that he can be. Christine joined the Zippy team in August 2016 following roles in the cleaning industry ranging from cleaner to supervisory and managerial roles. Christine has experience working with educational facilities, retail facilities, corporate offices and government departments. 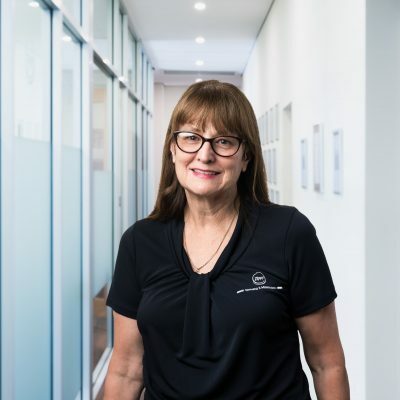 Throughout her career, Christine has had extensive hands on training that has greatly developed her cleaning industry knowledge. As with all of our Client Services Managers, Christine is also certified in Basic First Aid. In her role as Client Services Manager, Christine enjoys working closely with her cleaning staff and mentoring them to do the best that they can in their own roles. 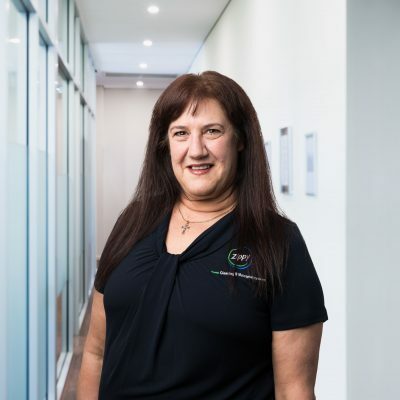 Christine also enjoys her collaborative relationship with her existing clients, meeting new clients and managing our South Australian regional and remote sites. Debbie joined the Zippy family in August 2008 following employment in a number of similar roles within the hospitality and facilities management industries. During her impressive 28 years of working in the facilities management industry, Debbie has held multiple positions at all levels from cleaner to supervisor and then Manager. 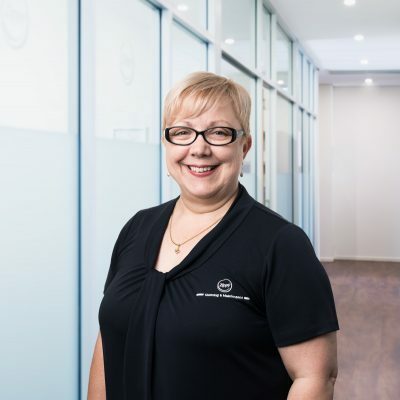 Throughout her career, Debbie has gained multiple qualifications including Frontline Management, Certificate III Cleaning and Maintenance and Certificate IV Cleaning and Maintenance. As with all of our Client Services Managers, Debbie is also certified in Basic First Aid. In her role as Client Services Manager, Debbie enjoys meeting new clients and staff. She also enjoys training new employees and plays an important mentor role to her existing staff. Rosie joined the Zippy team in June 2012 with an impressive 13 years cleaning industry experience behind her, which has developed further through the supervisory and managerial roles that she has held throughout her time at Zippy. During her employment with Zippy, Rosie has been responsible for a number of high-profile sites and her portfolio is largely based in the Adelaide CBD. Rosie has completed Certificate IV Frontline Management and has has also undertaken training in a number of cleaning processes, including Manual Handling Techniques and Procedures and Strip & Seal Hard Floors to ensure that she has a full understanding of the specialised services that we can provide for our clients. As with all of our Client Services Managers, Rosie is also certified in Basic First Aid. In her role as Client Services Manager, Rosie enjoys the satisfaction of her ability to manage large profile sites and she also enjoys the challenges that her role brings. She also enjoys being able to pass on her knowledge to her staff and watching them become more confident in their own roles. Wilhelmina joined the Zippy family in February 2011 as a Client Services Manager following previous supervisory and management roles in retail and industrial business. 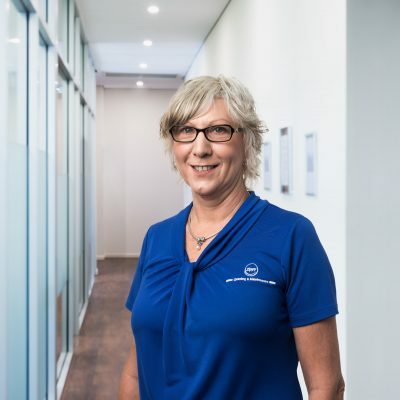 Wilhelmina has completed Certificate III in Cleaning Operations and Certificate IV in Cleaning Management as well as ‘Train the Trainer’ which is particularly useful for training or re-training cleaning staff – a very important aspect of her role. As with all of our Client Services Managers, Wilhelmina is also certified in Basic First Aid. In her role as Client Services Manager, Wilhelmina enjoys interacting with her clients and cleaning staff and experiencing their appreciation for the results that she achieves.